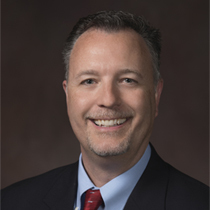 Michael E. Bowker has been promoted to chief operating officer of Phoenix-based Cable One, the seventh-largest cable company in the United States. As COO, he will oversee the company’s daily operations and optimize operational processes, as well as provide leadership for technology, and help drive strategy through residential and business channels. 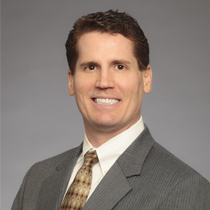 He previously was senior vice president and chief sales and marketing officer, overseeing sales and marketing strategy, and all aspects of sales activity throughout Cable ONE, including advertising, residential and commercial sales. The company serves more than 800,000 customers in 21 states with high-speed internet, cable television and telephone service. Neill Feather of SiteLock and Tomas Gorny of Nextiva are named Top Rated CEOs in the 2017 CEO Likability Study conducted by Owler, a pioneer in crowd-sourced information that’s building the world’s largest database of company and executive information. Feather and Gorny were ranked second and third, respectively, in the study’s Scottsdale rankings and No. 570 and No. 584, respectively, in the overall U.S. list. Also cited in the study were Rob Donat of GPS Insight and Girish Rishi of JDA Software Group, both on the Scottsdale list; and William J. Amelio of Avnet, Stewart M. Bloom of Aspect Software, William Dorman of Kryterion, Peter S. Fine of Banner Health, Kevin Hickey of BeyondTrust and Scott Salkin of Allbound, all on the Phoenix rankings. 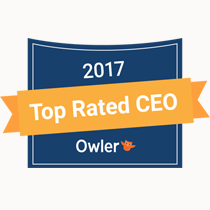 Owler’s analysis is based on thousands of CEO reviews submitted by users of its website, which business professionals use to gain competitive insights and uncover the latest industry news and alerts. Members of Polsinelli’s Phoenix office have been recognized in the 2017 rankings of lawyers and practices by Chambers USA, a leading legal industry rankings organization. 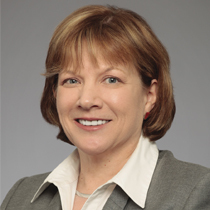 Anne L. Kleindienst was named for her work in the health care industry, while Phillip P. Guttilla was cited for his efforts in the corporate/mergers and acquisitions practice. Guttilla also serves as the office’s managing partner. Polsinelli earned high placements in state, practice and attorney rankings, with nine practices and 55 attorneys from its 20 offices receiving recognition. Chambers rankings are based on several factors, including information obtained from client interviews and submissions from law firms, as well as its own database resources.